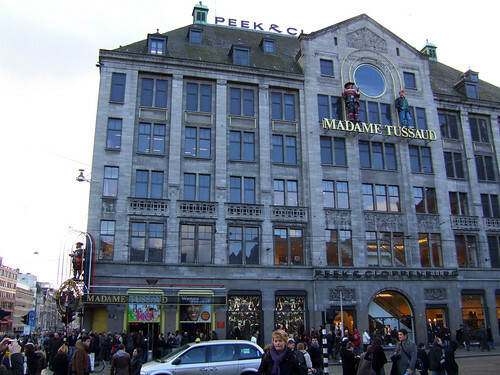 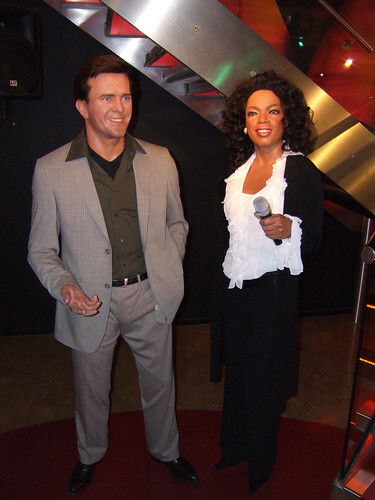 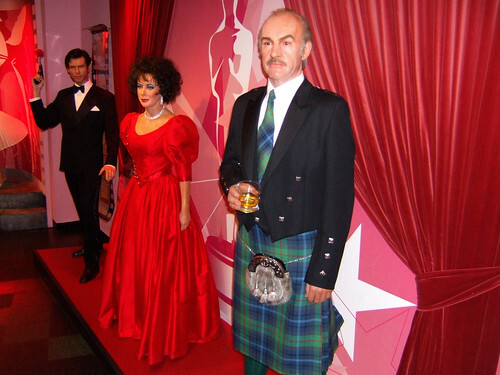 Situated in Dam square, Madame Tussauds wax museum is one of Amsterdam's most famous attractions. 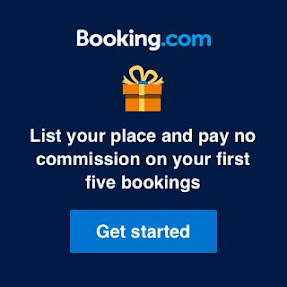 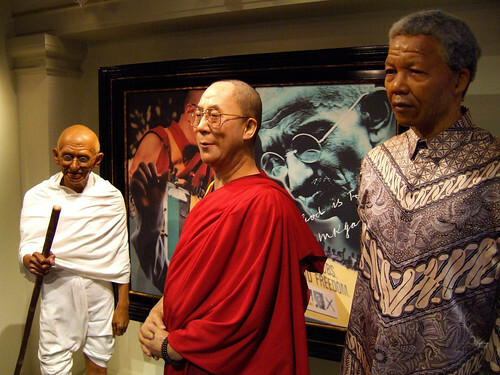 Have your photo taken with some world famous personalities like Gandhi, Martin Luther King and Obama or movie stars like Brad Pitt and Angelina Jolie. 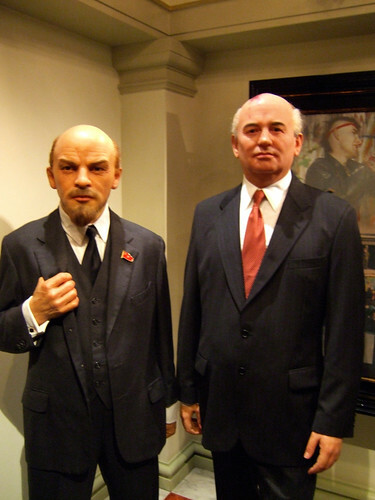 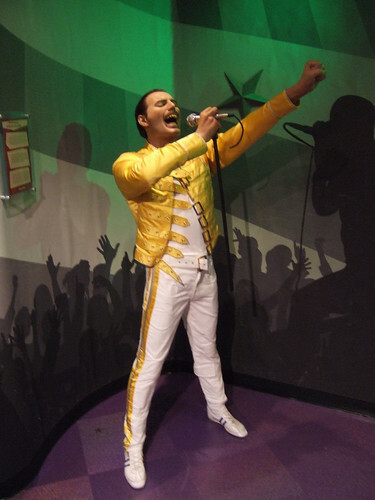 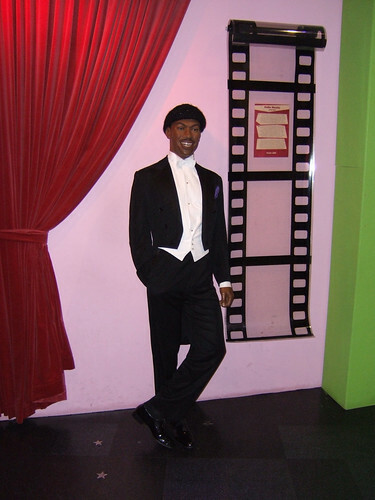 The museum has also the world's largest animatronic wax figure measuring 5 metres called Claas Janszoon. 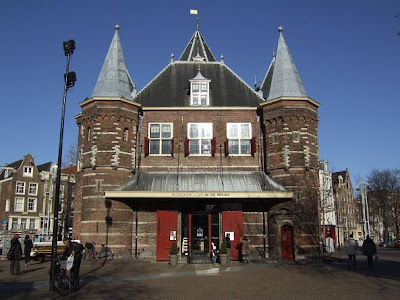 Location: Dam 20, 1012 NP Amsterdam, Netherlands. 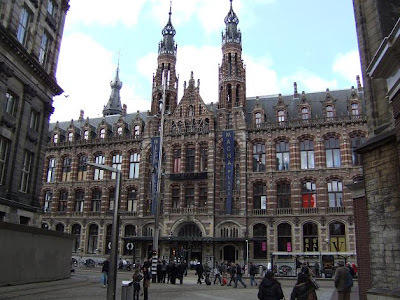 The Magna Plaza is a beautiful mall behind the Royal Palace in Amsterdam. 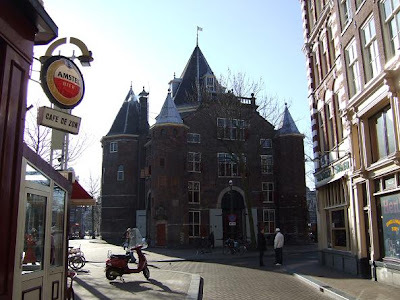 It was built in 1899 in Neo-Gothic style and was once a Post Office building. 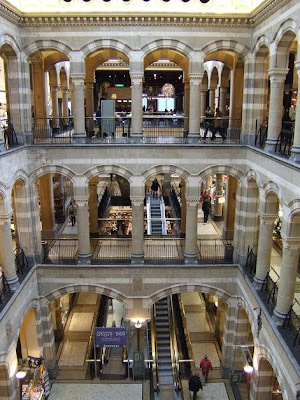 Inside this four floors shopping mall are all major fashion brands represented. 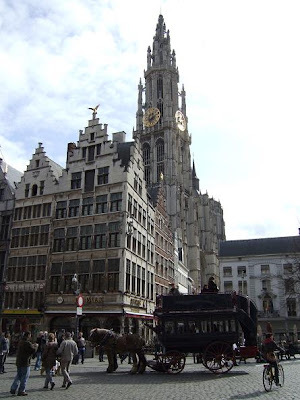 The Main Market Square in Antwerp is surrounded by Guild houses and the Town hall. 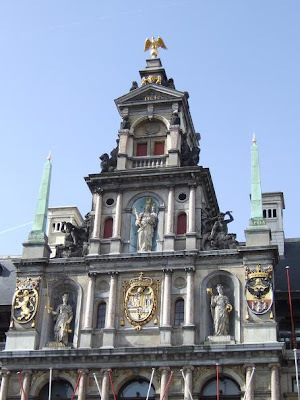 Most of the guild houses are rebuild after they burned down in the 16th century. 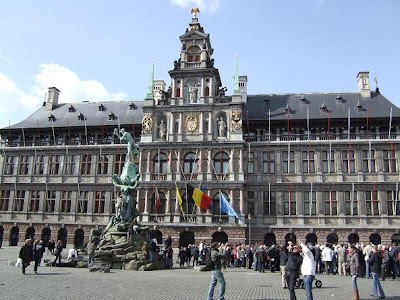 On the first photo you can see the town hall, a renaissance building constructed between 1561-1565. 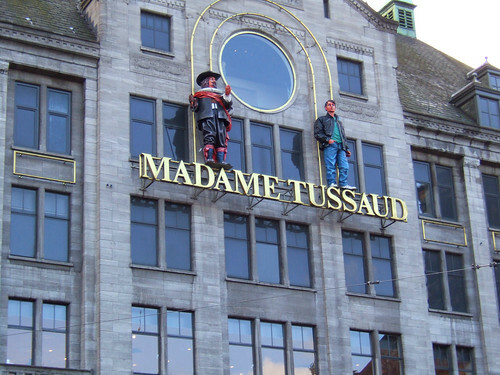 The statue (last photo) is made by Jef Lambeaux and is called Brabo. 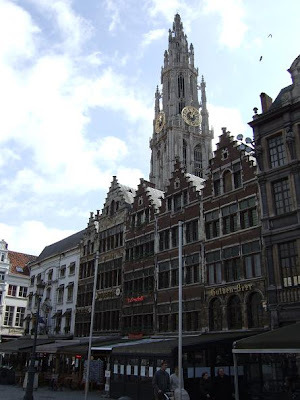 It was inspired by a legend of a giant who used to live on the banks of the river Scheldt. 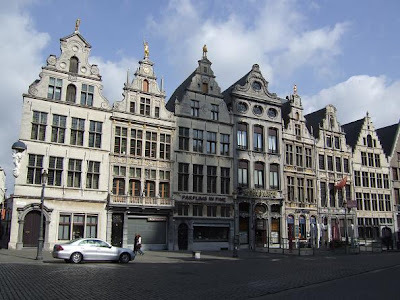 Whenever sailors on the Scheldt refused to pay toll, he punished them by cutting off their hand. 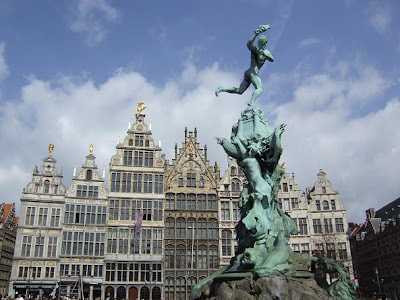 A Roman soldier called Silvius Brabo, killed the giant, cut off his hand and threw it in the river.